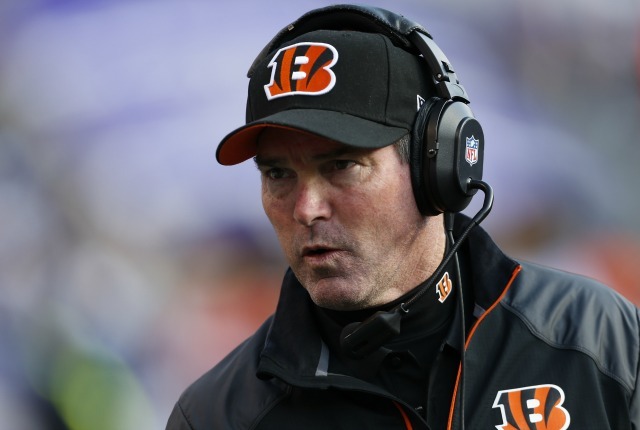 Mike Zimmer was hired on Wednesday to be the ninth head coach of the Minnesota Vikings. The first time head coach was the Cincinnati Bengals defensive coordinator since 2008 after holding the same position with the Atlanta Falcons and Dallas Cowboys. The hire came just over two weeks after Leslie Frazier was let go by the team. Personality wise, Zimmer’s blunt honesty sharply contrasts Leslie Frazier’s passivity. When addressing the media, Leslie was often painfully vague or sounded like he was just repeating what general manager Rick Spielman wanted him to say. Vikings management was not willing to give up on Christian Ponder despite his lack of talent and Leslie stood by as we lost game after game. Zimmer is not that kind of coach. He will not be Spielman’s “yes man” like Frazier was for three seasons. Had he been head coach of the Vikings during the Christian Ponder era, Zimmer would have put up more of a fight when Spielman insisted Ponder be the starter. One thing Zimmer and the former Vikings head coach have in common is they are defensive minds. Excluding a dismal 2010 season, in his six years in Cincinnati, the Bengals yards, touchdowns, and points allowed per drive and sack totals trended from the bottom half of the league to the top ten. Last season the Vikings ranked 31st in yards allowed and last in points allowed. Zimmer’s defenses in Cincinnati featured very few Pro-Bowlers, but the Vikings hope he can improve their defense that lacks top talent. Zimmer has proven he can revamp a defense but the Vikings have issues offensively as well. This new coaching staff will have to find a quarterback that can consistently give the team a chance to win. If that doesn’t happen, the team likely won’t win many games and Zimmer will be fired in a few years just like Leslie Frazier. The Vikings’ offensive success will depend on not only on acquiring a quarterback either in free agency or the draft but also on hiring the right assistant coaches. While the draft is not until April, assistant coaches are being hired right now. The Vikings hired Norv Turner yesterday to replace Bill Musgrave as offensive coordinator. As the Cleveland Browns’ offensive coordinator last season, his offense had the 11th ranked passing game in the league despite an offensive depth chart worse than the Vikings’. 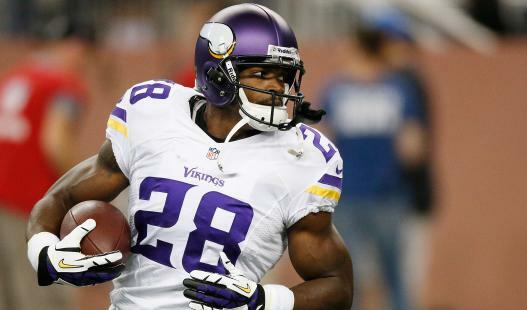 While the offense will run through Adrian Peterson, Turner can help utilize weapons like Cordarrelle Patterson and Greg Jennings. There are still many unknowns. There are still open assistant coach positions, free agency, and the upcoming draft. The roster and coaching staff are still incomplete but the Vikings seem to be moving in the right direction. Finally the time has come and the wait is over. After making his mark in the NCAA, Johnny Manziel has declared himself eligible for this year’s NFL draft. The Heisman winner is a projected top-ten pick with many even placing him in the top-five. While Manziel is a scrambling quarterback, he averaged 317 passing yards per game for a total of 4117 yards. This is 408 yards more than he threw for last season, a season in which he won the Heisman Trophy. In improving his passing game, Manziel had to take a step back in tucking the football and running. He rushed for only 53% of what he had rushed in 2012. However in the end, the touchdown totals remain to be consistent. Manziel finished with 47 touchdowns in 2012 and 46 touchdowns in 2013. Not too shabby when you consider the fact that Manziel threw for more yards than Andrew Luck did in any of his seasons at Stanford. Manziel does have his problems though. He has been in the news for his behavioral issues. He was arrested back in 2012 for getting in a late night fight and possessing a fake ID. 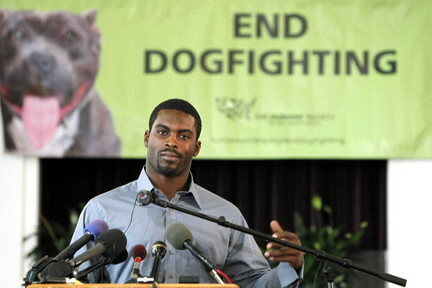 The issues continued even after he won the Heisman Trophy. He overslept while attending the Manning Passing Academy. He was kicked out of a University of Texas fraternity party. He also voiced his displeasure with Texas A&M by tweeting that he “can’t wait to leave College Station” after he received a parking ticket. 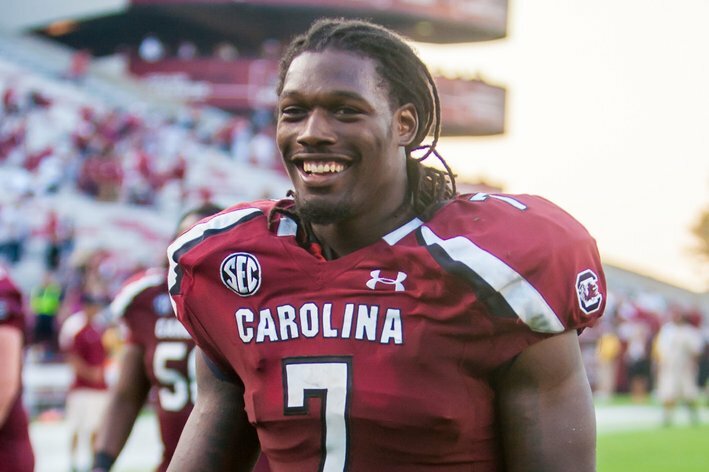 His taunting on the field became quite the story during the 2013 season, and was regularly featured on ESPN. But the most notable issue came in early August 2013. 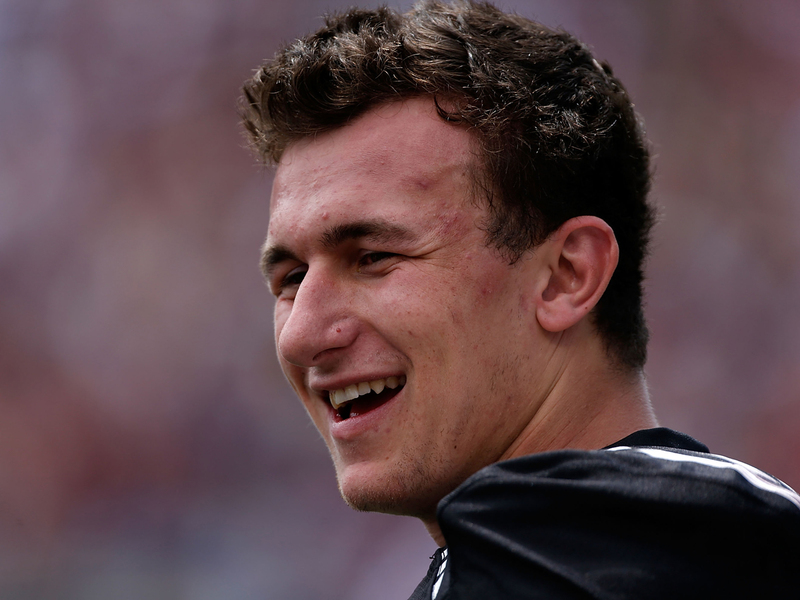 The NCAA began investigating whether Manziel accepted payments from autographs that he had signed in January 2013. While it is widely believed that he did accept the money, the NCAA could not find any evidence and suspended him for only the first half of the season opener against Rice. Right now if you look at the NFL draft order, Houston has the first pick. The Texans need a quarterback and are expected to draft Louisville QB Teddy Bridgewater. The St. Louis Rams have the second pick and while it seems that they might need a quarterback, they have showed no indication that they want to dump Sam Bradford. The third and fourth picks belong to the Jacksonville Jaguars and Cleveland Browns respectfully. Both teams need a quarterback. The Oakland Raiders sit in the five spot and the Vikings sit at the eight spot. It’s possible that they could each want to draft a QB as well. UCF quarterback Blake Bortles is on the board as well but it’ll be interesting to see which QB gets drafted first. An interesting pick for Manziel though could be the New York Jets. The Jets currently hold the 18th pick. Now I’m not saying that Manziel is going to slip to the 18th pick. We did see Brady Quinn slip to the 22nd pick back in 2007, after being projected to go in the top ten. Manziel is not likely to slip based on the amount of teams needing quarterbacks. Therefore, only way the Jets can get Manziel will be by trading up picks to draft him. I think that a run at Manziel could be what the Jets need. Now I know some people look and they’ll say, “why would they do that?” Well, they’ve done it before. Back in 2009, the Jets traded up to the fifth pick to select USC quarterback Mark Sanchez. Now I know that didn’t turn out to be such a great decision now that Sanchez has lost the starting position, but Manziel is a bigger threat than Sanchez ever was. The Jets current starting quarterback, Geno Smith, had the lowest QB rating in the entire league. General Manager John Idzik stated at the end of their week 17 game that they will “look at quarterbacks” in the offseason. It is this statement that shows that Idzik doesn’t believe that Smith is “the guy.” If the Jets want to get their hands on a reliable quarterback for years to come, they must trade up and select Johnny Manziel.